William Young Gard, a tooling manufacturing company executive, died Tuesday, Jan. 22, 2013. He was a longtime Grosse Pointe resident. He was born June 10, 1927, in Detroit, to Paul Drown and Martha Young Gard and graduated from Detroit University School in 1944. From 1945 to 1946 he was an ensign in the U.S. Naval Reserve and assigned to officer training at the University of Nebraska. He earned a Bachelor of Science degree from Yale University in 1949. In 1952, he married Nancy Frazer Pierson. 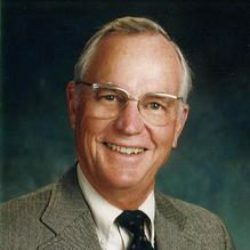 Mr. Gard began his professional career in 1949 as a motor products salesman. He then worked as an account representative for Dura Corporation for 15 years before buying D&F Corporation in 1968. He served as president and chairman until retiring in 1992. He served on the boards of a number of civic and community organizations including University Liggett School, Friends of Grosse Pointe Public Library, Grosse Pointe War Memorial, Detroit Community Music School, Center for Creative Studies and Country Club of Detroit. He also served the vestries of Christ Church Grosse Pointe and St. Michael’s Episcopal Church. Mr. Gard was a member of the Society of Automotive Engineers, Leland Country Club, Yondotega Club and Senior Men’s Club of Grosse Pointe, as well as a life member of the County Club of Detroit. He enjoyed volunteer work especially with United Foundation, Michigan Colleges Foundation and Mariners Inn. He especially loved music and performed with and served as music director for the Grunyons for more than 60 years. He also was a member of the Yale Glee Club, Whiffenpoofs and at various times throughout his life, Grosse Pointe Chamber Singers and St. Stephen’s Carolers. He also had been the choir director for St. Michael’s Choir and the Mariners Inn Choir. Mr. Gard is survived by his children, Elizabeth, Paul (Marianne) and Martha Stott (Sam) and grandchildren, Kiera Corbin Phlipot (Alan), Lyric Alena Stott, William Scanlan “Kick” Gard and Carolyn Pierson “Pierce” Gard. He was predeceased by his wife, Nancy. A memorial service will be held at 4:30 p.m., Feb. 1, at Christ Church Grosse Pointe, 61 Grosse Pointe Blvd., Grosse Pointe Farms. Donations may be made to Mariners Inn, Att: Shauna Vercher-Morrow, 445 Ledyard St., Detroit, MI 48201 or to the Leelanau Conservancy, P.O. Box 1007, Leland, MI 49654.